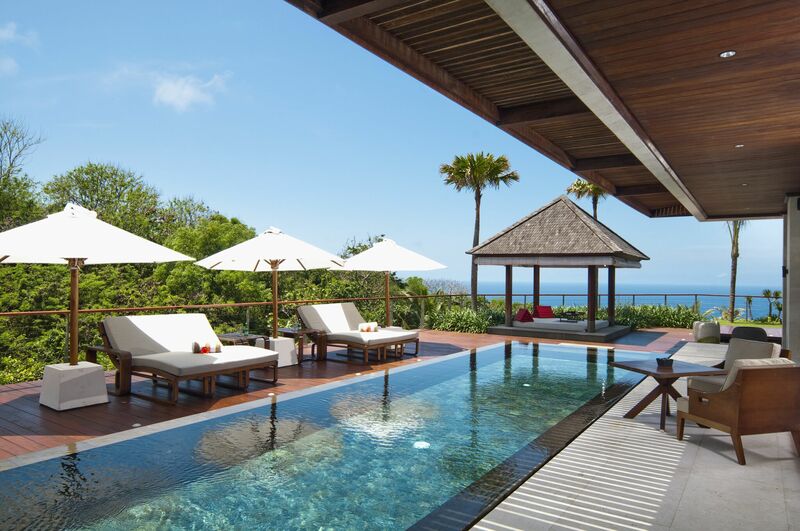 The Edge is recognised as an exclusive private villa resort with professional and personalised dedicated butler service from the moment you arrive until the moment you leave the property. 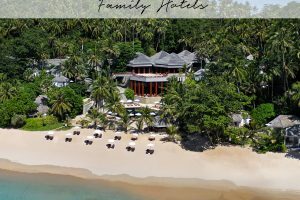 Secluded, and luxurious with sweeping and unobstructed views of the Indian Ocean, The Edge offers an intimate and private haven with a cliff top bar serving an extensive beverage selection as well as our dining facility catering a fine selection of Western and Asian cuisine. Our 24 hours exclusive and tailor made a la carte selection may also be catered to your villa offering a private and personalized setting. This opulent property also offers a fully equipped fitness center and our spectacular, award wining Spa features four treatment rooms and therapists who offer an array of treatment options. Coming to Bali this summer! Built around a stunning glass bottom lagoon set to redefine the concept of the infinity pool, oneeighty° is a celebration of sophisticated beach culture 500ft above the Indian Ocean. An extensive VIP deck, VIP rooftop lounge, sand lounge and enclosed bar & restaurant, all overlooking the most breathtaking panorama imaginable. Food & beverage is not an afterthought at The edge, and guests are spoilt for choice. The F&B team are available to meet with guests at any time during their stay and can customize all menus to suit individual requirements. Whether it be a casual seafood barbecue, romantic dinner for two, a show-stopping degustation dinner, or a banquet for 200; the culinary team are dedicated to satisfying every guest. We believe in the importance of a good breakfast to start the day. Served by your personal butler, breakfast is provided with all accommodation and includes freshly baked breads, donuts, pastries and preserves, smoked salmon, fresh fruit yoghurts, sumptuous tropical fruit platters and an array of a la carte options to please every palate. Executive Chef Nyoman Suasa has enjoyed a long and distinguished culinary career. He began his training with Four Seasons Hotels in Bali then travelled the globe, culminating in his appointment as Sous Chef at the world-renowned Beverly Wilshire Hotel on Rodeo Drive, Los Angeles. 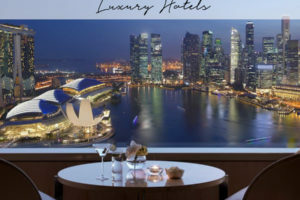 During his time at the landmark hotel, he served numerous celebrity guests and catered high-profile weddings, whilst also assisting in the opening of Chef Wolfgang Pucks’ award-winning in-house restaurant CUT. The edge maintains an extensive wine cellar with an enviable selection of premium wines from around the globe. Our Sommeliers are happy to arrange tours, wine pairings or dinners on request. Awarded by Asia Spa Magazine as 2010’s Most Innovative Spa of the Year. This cliffside 1-bedroom villa can be combined with The Shore villa, or reserved separately. 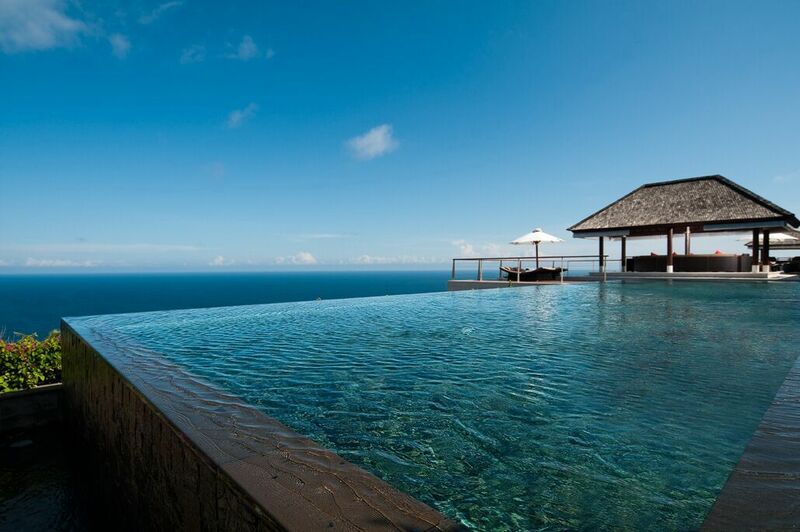 The villa features a natural stone plunge pool, large outdoor deck & private dining bale and it offers an uninterrupted view of the Indian Ocean. 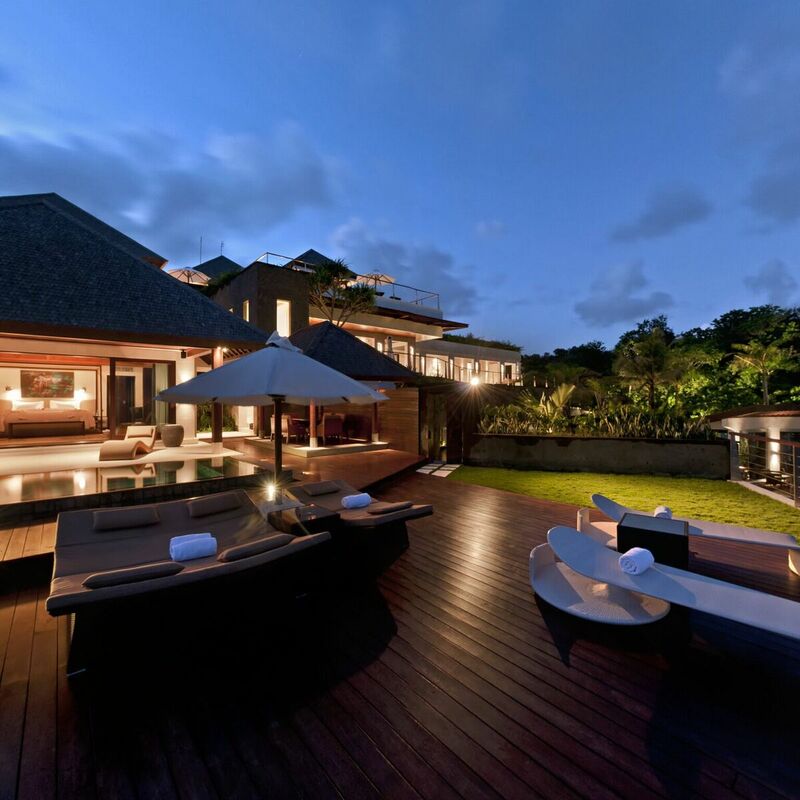 Total villa size is 750m². 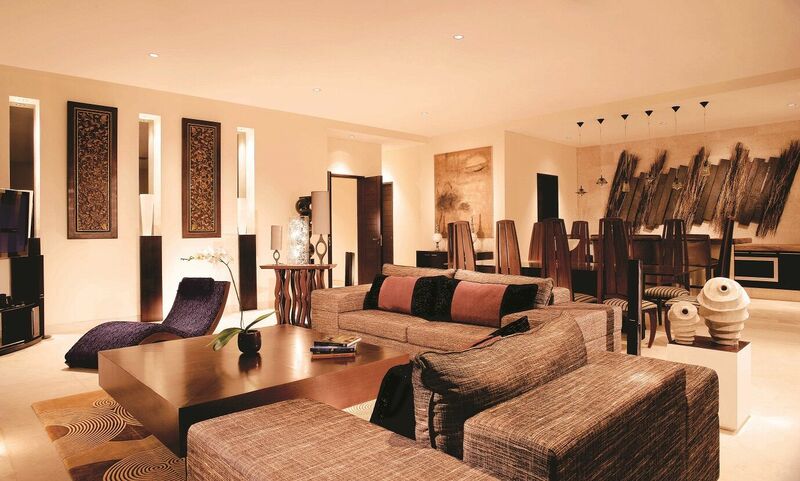 A luxurious villa consisting of two large bedrooms. The shore also features a separate living/dining area, natural stone pool and private library and office. 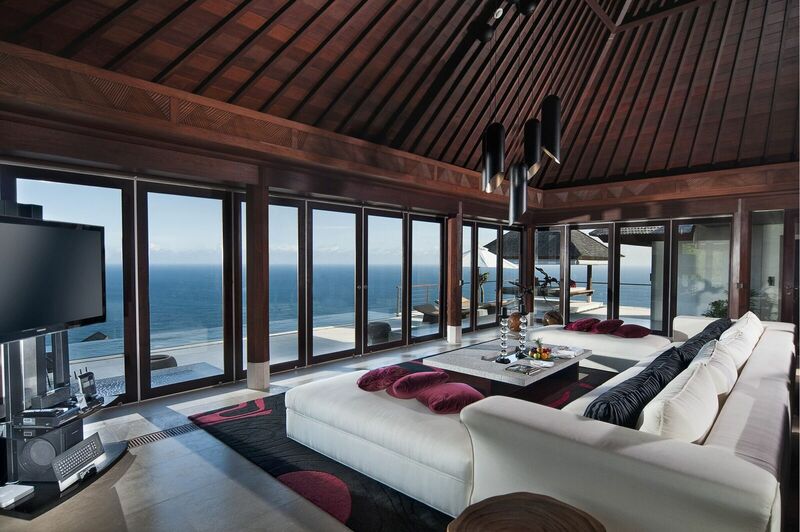 Boasting a beautiful view of the Indian Ocean The shore is 650m² in total. 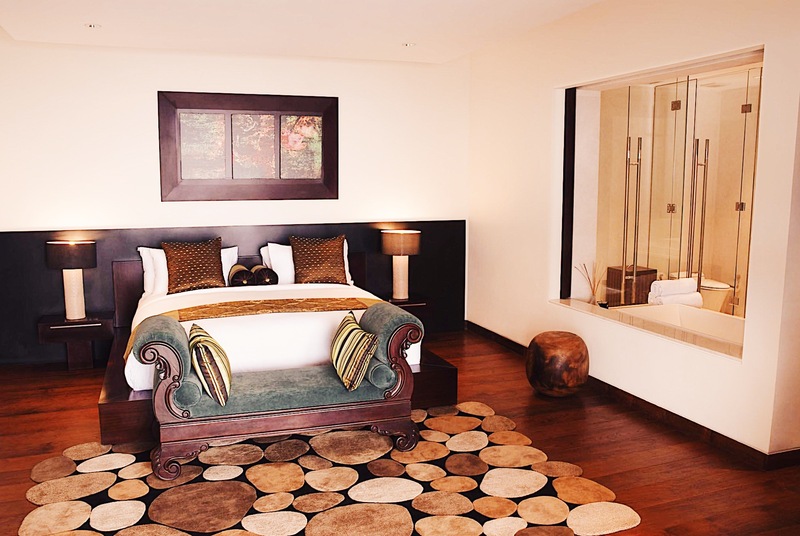 The mood is a free-standing two-bedroom/two storey villa featuring an expansive living and dining area, natural stone plunge pool, private bale, large deck and private garden. The mood is 1,500m² in total. The largest and most luxurious villa located in the center of the property. Featuring five bedrooms overlooking the Indian Ocean, a private dining room, two natural stone private pools and two private bales. The view’s five bedrooms are complemented by a private cinema, children’s playroom, two large living rooms, vast tropical garden and outdoor deck. The view is 3,500m² in total. 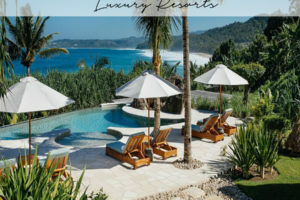 For the ultimate experience, the whole property may be booked exclusively. The edge – 4 villas with 10 bedrooms and all facilities; the gym, the bar, the pool, The Spa, all exclusively yours for the period of your stay. The Edge’s very well experienced and talented staff members will be around to make sure your stay is relaxing and you have everything you need. 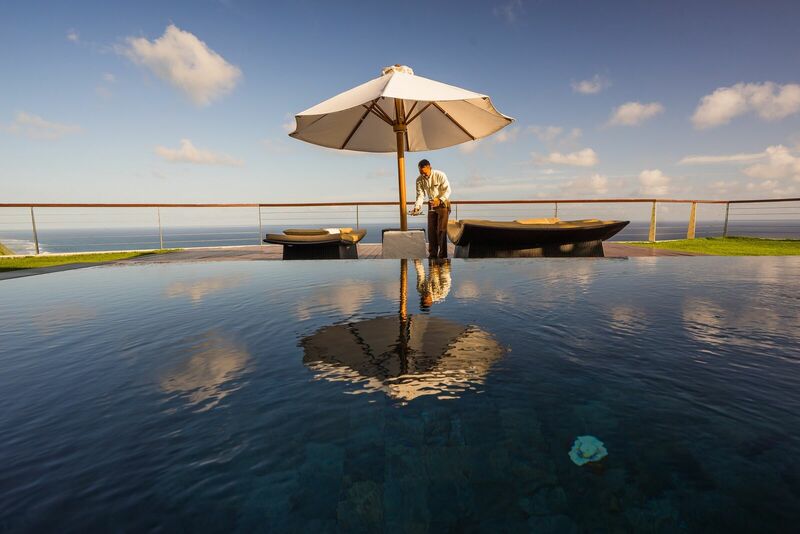 The edge is located within the traditional village of Pecatu, on the clifftops of Uluwatu, Bali. Get inspired by our Bali’s Most Beautiful Beaches and Bali’s Best Sunset bars, featuring locations nearby. 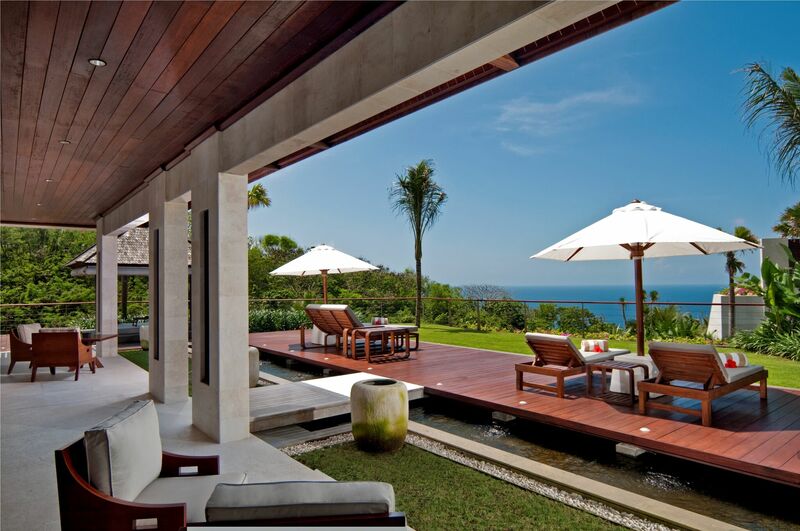 Continue browsing Bali’s Most Luxurious Villas.